Deleting photos on iPad by a wrong tap happens a lot in our daily life and is real pai. The disappointment becomes bigger when you are the one who accidentally erased that file. Take no worries. For now, the chance is high for recovering data from iPad if you can quickly realize your fault. It is important to note that you should totally stop using the iPad including downloading new data, using social networks, taking new photos so that the deleted files won't be over written by the new coming data. In this guide, we will be showing how to retrieve deleted photos, videos, contacts and other data from iTunes, iCloud and the iPad itself. But did you know that you can actually retrieve all the deleted files from the cloud servers or device itself with a single iPhone data recovery software? That's exactly where Androidphonesoft iPad Data Recovery comes into help. 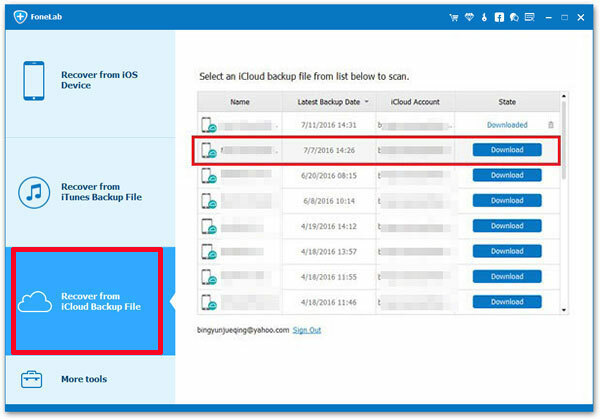 However, first let me show you how to recover deleted multimedia files from iCloud..
iCloud is an exclusive service provided by Apple to its users for data backup and restore. The files are store on remote cloud servers independently. So, if you have a recent backup of your iPad on your iCloud account then follow these steps to recover deleted photos from iCloud backup. Step 1: First unlock your iPad then go to Settings > General and tap on Software Update. It is important that you must have the latest iOS version before proceeding with the restoration progress. Step 2: Go to iCloud.com using Safari and sign in to your iCloud account. Step 3: Click on "Photos" or any other folder that you wish to recover. Step 4: Select all the items manually and finally click on download icon to save all the files on your iPad again. You may now check your iPad and all the previous data from the backup file will be visible. If you don't want to lost any existing data and want to preview all files before restoring then go to the next part where we will use Androidphonesoft iPad Data Recovery to accomplish this task. 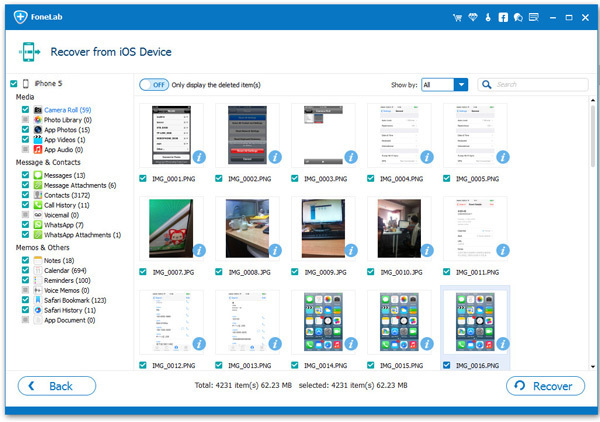 Androidphonesoft iPad Data Recovery is a fast and efficient data recovery desktop tool that can bring back any kind of deleted files from your iOS devices like iPhone/iPad/iPod. It can recover files under any circumstances such as accidental deletion, factory reset, system crash, data loss due to failed jailbreak attempt and so on. And the most interesting part is it can even restore files from cloud services like iTunes and iCloud. 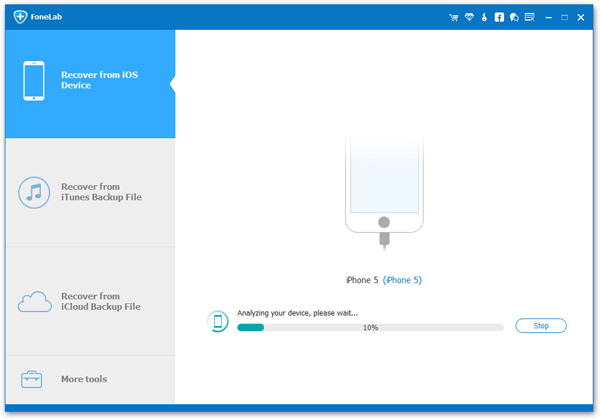 It even supports to recover deleted files from your device itself. If you have never synced iPad with iTunes or iCloud then do not get upset as you can monitor your device to get back the wrongly deleted files. Below is the detailed tutorial on how to directly retrieve deleted files from iPad itself. Launch iPad Data Recovery tool but this time choose "Recover from iOS Device" from the given options. Connect your iPad to PC with a USB data cable and wait for the program to identify it automatically and click on "Start Scan" to monitor your entire iPad. You may need to unlock your iPad first before the program can recognize your device. The scanning process will take few minutes depending on the memory storage size of your device. After the program is done with the scanning progress, it will show you all the recently deleted files in a very well-categorized folders. Browse through each folders and recover the data of your choice on your PC. Next, copy the files from your computer and save them on your iPad again. That's all, your data is successfully retrieved now. Step 1: Install iPad Data Recovery tool on your Mac or Windows computer and launch the program to see the elegant user interface. 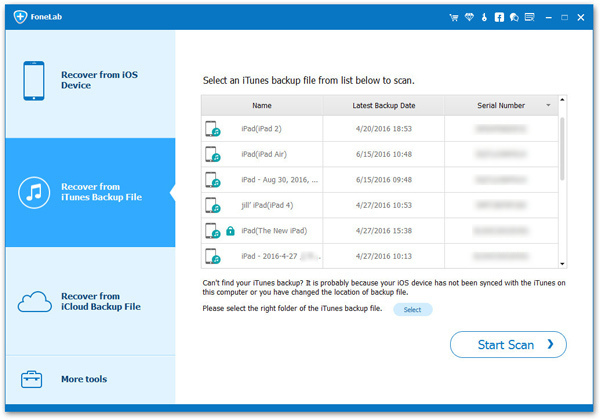 Step 2: From the home screen of the tool click on "Recover from iTunes Backup file" and input your iTunes login credentials into the data recovery tool. FoneLab never saves any login details of your personal account, so feel free to safely sign in to your iTunes account. Step 3: Select the recent iTunes backup file from your account and choose "Start Scan". Step 4: Let the program extract all the files from your iTunes backup and once it is finished, you can preview all the data and recover them to your PC. Now, you may connect your iPad to PC and migrate data from PC to iPad with USB cable wire. This program also supports recovering deleted files from iCloud backup. This is completely different from Method 1. Frst open the program and select "Recover from iCloud Backup File ". 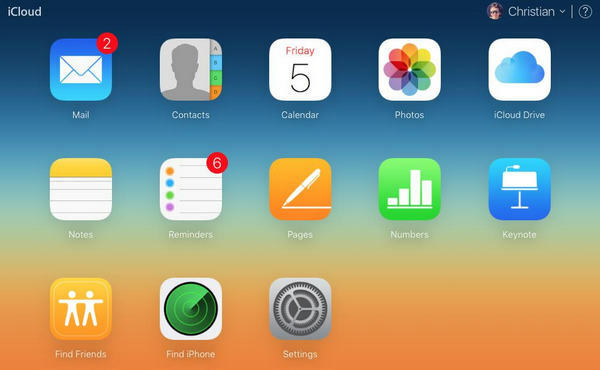 Now, login iCloud account and a few minutes later, all iCloud backup will show up on the screen. Kindly select one and downlaod the file to the computer. When the backup file was downloaded successfully, the scanning process starts to work. It will take few minutes depending on the memory storage size of your device. After the program is done with the scanning progress, it will show you all the recently deleted files in a very well-categorized folders. Browse through each folders and retrieve the data by your choice on your PC. 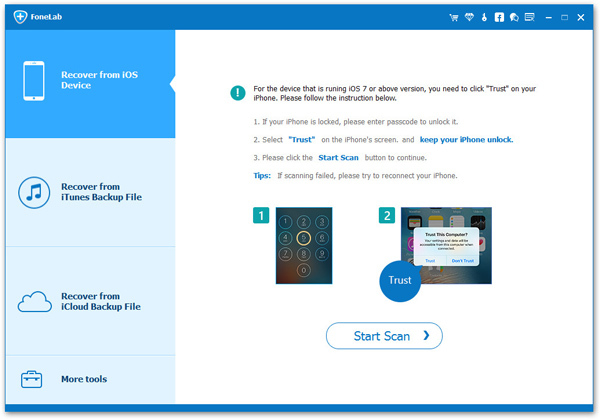 Although, we have shown how to recover deleted data from iPad but you can use the same data recovery tool to recover deleted files from iPhones and iPods. In the future, in order to avoid any data loss or deletion, make sure to regularly backup your device with iCloud and iTunes. Recovering data with iPad data recovery tool is extremely easy and requires only 3 simple steps to get back the data that you recently lost. It is absolutely free to try, so that you can at least download the program to see its true power and potential.